Dorian re-invented the world of bodybuilding and truly took ultimate freaky size to the next level. 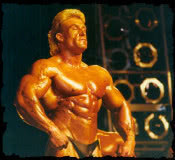 He kept his off-season weight at roughly 300 pounds and competed at over 250 ripped and shredded pounds to dominate! Here's a look at Dorian's meal plan during his competitive years, take a look below and apply it. 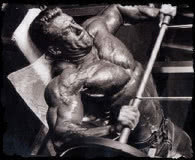 Famously known for his training program of high intensity which he roughly modeled after the Mentzer type of training philosophy. Usually consisting of 2-3 warm up sets followed by 1 all out intensity power set. Here's a look at the training split that Dorian used to build his 5x Mr. Olympia winning physique.